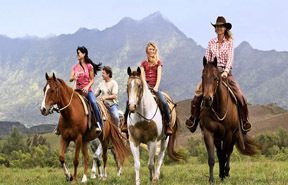 What do you need to know before planning Kauai travel, one of your discount Kauai vacation packages or planning Kauai discount activities? The island is the oldest of the main islands and the northernmost island of the Hawaiian chain. At only 550 square miles, it seems small but in this case the island's reputation as the most beautiful Hawaiian island is well deserved because it is a great island for activities and tours! Its nickname is the Garden Island, although it was originally created by volcanoes! 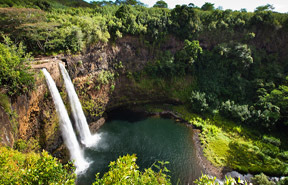 Kauai has mountains and valleys with lovely waterfalls and canyons etched from the earth by the continual rainfall. In fact, Kauai has the proud designation of being one of the wettest spots on earth! 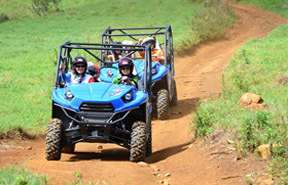 IT's no wonder there are an abundance of Kauai activities to do! 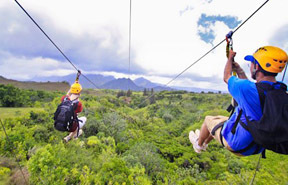 From the average tourist to the eco-tourist, you can always plan the best of Kauai vacations to suit your personality. The island of Kauai is said to be the most beautiful of all the Hawaiian islands, but don’t take our word for it! 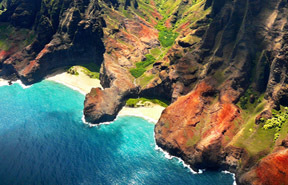 Book your hiking tour on the majestic Na Pali Coast! Or choose from many different activities for visitors, including guided horseback rides, ATV tours, jungle expeditions and nature walks. Our tours offer gorgeous views of lush rainforests, deep valleys and the ocean. 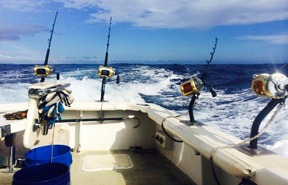 We also offer zipline tours, scuba diving, deep sea fishing and much, much more! Check out our tours. You just might find the adventure of a lifetime!